Expect to see a new version of the M4 hit the stands in Shanghai. BMW betrayed the car-loving world last year when right before our eyes, it seductively dangled the M4 CS in our faces, a car that's essentially a stepping stone between the M4 and $134,200 M4 GTS, and then as a limited edition model. Heartbreak ensued, but BMW doesn't want its fans to get too sour and turn to Mercedes-AMG. The latest teaser images found by seem to confirm that a Shanghai-bound M4 CS or CSL will keep that from happening. BMW has so far confirmed or denied nothing, but the sketches leaked seem to detail what looks like the current M4 CS. With a more aggressive GTS front lip, 763M wheels, the signature OLED sequential tail lamps from the M4 GTS, and a toned down rear deckled spoiler (as opposed to the gargantuan wing on the GTS), whatever BMW has in mind seems to be an object of desire. Rumor has it that the German automaker will use this week’s Shanghai auto show to debut this special M4 and if this is the Spanish-only CS, it will be a cause for celebration. 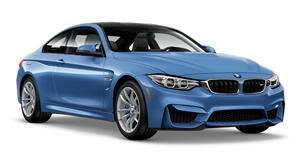 That’s because the M4 CS' 3.0-liter inline-six gets a slight power boost to 450 horsepower, giving it slightly better acceleration and raising top speed to 174 mph from the old 155 mph limit. The M4 CS also got some neat track-oriented goodies such as carbon ceramic brakes, a carbon fiber front splitter with a large rear spoiler (these teaser images indicate that large spoiler won't be present), a large rear diffuser, a blacked out grille and side mirrors, and a new seat design that better holds drivers in the corners. Thing is, this might not be the CS. Instead, BMW could be giving us a revived version of the M3 CSL, a moniker that was last used on the lightweight E46 M3 CSL, and a car we've . Whatever M4 BMW has been cooking up for Shanghai, expect to cut a check somewhere in the high $90,000 to low $100,000 price range for a production version if it makes it to market.